French physician, pathologist and parasitologist. 18 Jun - short biography, births, deaths and events on date of Laveran's birth. Presentation Speech for Alphonse Laveran - for the award of the Nobel Prize from The Nobel Foundation site. 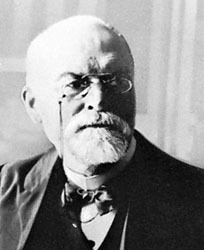 Biography for Alphonse Laveran - at The Nobel Foundation site. Stamping Out Malaria - archived copy of The Child's Doctor column illustrating the history of malaria shown with postal stamps from around the world.